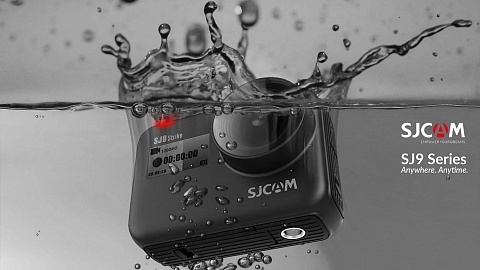 A lot of new action cameras are available, so which one to buy (for the holidays)? 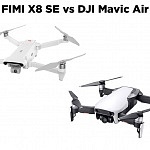 The new ones with built-in gyro and 4K recording (SJ5000X Elite, Git2, Firefly 6S) or the Xiaomi Yi or EKEN H9? 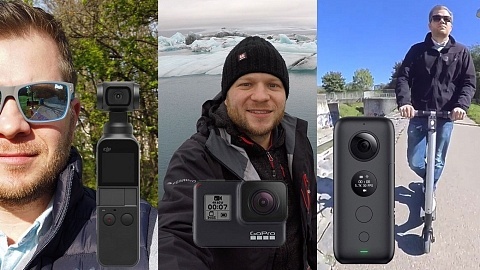 And how they are performing compared to the still leading GoPro Hero 4 black? Keep in mind shipping times when ordering with Gearbest or Banggood from China! The SJ5000X and Git2 were just released and are only available in limited quantities. I guess they will not be available at their EU/US Warehouses before Christmas. Cameras on Amazon and eBay are mostly sold by smaller resellers ordering for China (or shipping from there), so I guess they also won’t be available in time for the holidays! Lots of questions, so I did a data comparison. I divided the cameras into categories. 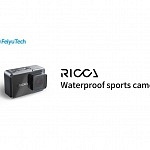 First cameras between 100 and 150 USD – the SJ5000X ELITE, Git2 and Firefly 6S. Some features are different: The Git2 has the largest sensor, a 16MP Sony Exmor sensor – same one used in the Xiaomi Yi. The SJ5000X Elite and Firefly 6S share the same sensor, a 12,4 MP Sony Exmor sensor which is better in low light situations due to its sensitivity. 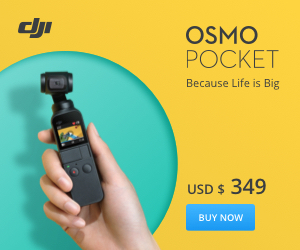 Second feature to look at, might be the live view display, the Firefly doesn’t have one, the SJ5000X has the largest with 2″ while the Git2 offers a 1,5″ live view screen. The batteries for Git2 and SJ5000X elite are about the same capacity whereas the Firefly 6S offers a way larger battery with 1600 mAh. But does it behave like the EKEN which has a good battery, but runs out pretty fast? I’ll do some tests and let you know. External microphone, one feature often discussed in forums, the Git2 is the only cameras of the ones above that offers mic in via USB. 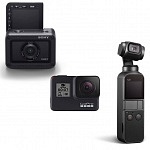 One more thing you might want to consider: the Git2 has exactly the same size and button arrangement as the GoPro, so you can use all the GoPro accessories for this camera. The SJ5000X Elite is larger, same size as all the other SJCAMS. Only very limited batches were shipped so there is not much footage out there to compare. I hope I receive my cameras soon to give you more insight. Is this price tag to high for you? The Xiaomi Yi offers a great picture quality as it has a 16MP Sony Exmor sensor (same one as in Git2). I really like the picture style and colors and think the cam is close to the GoPro Hero 3 black. So why is it that cheap compared to the cameras above? It doesn’t have a display, doesn’t come with accessories not even an underwater case and doesn’t have special features like built-in gyro. But maybe you don’t need all of this stuff and you’re good with just the cam. So then the Xiaomi Yi might be your choice. 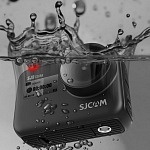 You can of course upgrade your cam later with LCD backpack, underwater case or get some mounts you need. Want all together and pay less? Then the EKEN might be your choice. It offers 4K but only with 10fps, thats not enough for a decent video playback. But 1080p with 60fps (which is offered by all these cams at least) is still pretty good. It also comes with a 2″ live view display and all accessories you need. I was surprised, even a wall socket adapter is included! Of course you have to bear some downsides. The 4MP sensor, same as in SJ5000X Limited Edition (not ELITE!) or SJ4000+ is smaller than all the others mentioned in this post. The picture is very sharp but a bit too blue-ish for my taste. There are some issues with the app and firmware and, as mentioned before, the battery runs out very fast! Be sure to get at least one spare battery (for about 3USD). The EKEN H9 is quite new, the Xiaomi Yi available since April. But as there are hardly news about Xiaomi Yi I don’t expect a 2nd generation in time for the holiday season. Or do you want the best from the best? I haven’t tested the Sony yet, but the data looks very promising and some features are really awesome. The wrist band offers a live view display and can be used as remote control for up to 5 cameras! GPS recording is also an awesome feature. I used it a lot with my Contour cameras where you could see your path or speed which I displayed in my videos. I wonder why GoPro never implemented GPS. 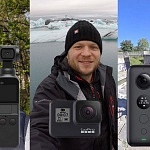 The GoPro is a great camera, awesome production quality and almost no annoying issues which happened with other cameras (Xiaomi Yi – focus problem, EKEN – firmware problems,…) And almost all accessories are built for GoPro firsthand, so you can get the perfect mount for your use case. Of course all of this has its price tag. 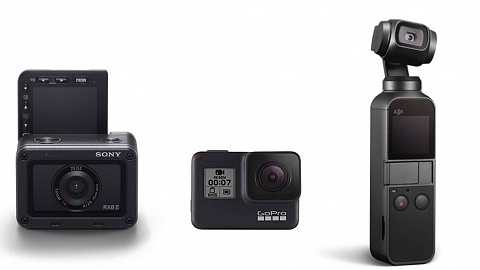 There were some speculations about a new GoPro but as they started some holiday promotions I think we won’t see a new model until next year. I hope this article could give you some insight and a data overview. If you have some questions or feedback, let me know in the comments below.